Despite being activated more than three years ago, a set of international certification laws that were implemented in May 2007 and affect all aerodromes and airports are still not being carried out to the full in Portugal, even by large airports such as Lisbon, Faro and Oporto, media reports claimed this week. In theory the non-compliance with these certification laws should in fact legally imply the closure of the airports. 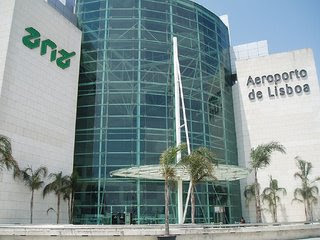 For example, properly certified airport manuals are needed in all seven national airports run by ANA – Airports of Portugal, which include Lisbon, Faro, Oporto and Ponta Delgada (Azores). These manuals comprise health and safety laws drawn up for each specific airport and must be stamped by the National Institute for Civil Aviation (INAC). ANA spokesperson Rui Oliveira confirmed that the airports had had the manuals drawn up and that these had been sent off to INAC “some time ago” for approval, but had not yet been sent back. Portuguese newspaper O Público reported that ANA’s manuals were in fact sent off three years ago and were still awaiting validation. Because of this, the Democratic Syndicate for Airport and Aviation Workers (Sindav) sent a letter to the Ministry for Public Works highlighting “series doubts” regarding the proper certification of 40 supposedly approved aerodromes on a list published by INAC. At the time it was implemented aerodromes and heliports were given two years to adjust their standards to the newly-introduced laws. The law states that failure to do so will mean all air-related infrastructures will have to reapply for licenses to operate. However, eight months after that deadline (May 2009) no re-applications have been submitted. Smaller airports argue lack of financial resources to purchase additional equipment such as permanent ambulances and insurances that are compulsory under the new law.